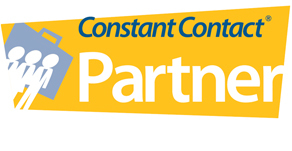 « Why Should My Business Host an Event? 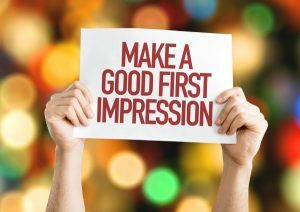 First impressions count and with 4th quarter fast approaching businesses want to make the most out of their customer contacts and how they view your brand. What processes to stay in touch do you have in place when you meet someone at a networking event, they walk into your office, or enter your brick and mortar store? As part of your overall marketing plan, email marketing programs are very effective with many of the clients we work with. However, we have a process and customized Welcome letter when adding people to our newsletter list. But how about the first impression a customer has with your brand’s email marketing? Have you put any thought into the type of experience you’re giving your customers or supporters when they receive an email from you for the first time? More often than not, those expectations will come from the initial experience that the reader had with your business or cause. What is most often done wrong? Welcome emails are the automated messages subscribers receive when they sign up for your email newsletter. These signups can be by way of text messaging or from a sign-up form on your website. When done correctly, business development people create a “pleasure to meet you” letter to add people they meet at educational or networking events. We typically like to include a headshot photo with the letter. How many times do you return from an event with a pocket full of business cards, yet can’t remember what the person looked like? Because the welcome emails are automated, most email services provide stock content for businesses to put into them, but this isn’t reflective of your business or brand. Unless you take steps to change the content and brand, many business owners don’t even know what the first experience they’re providing their readers looks like. With the average open rate for a welcome email is between 50-60 percent, it sets the stage for low expectations for upcoming emails. Make sure your Welcome Email delivers a fantastic first impression, is written in your words so you can establish strong relationships. It’s your opportunity to introduce your email marketing and reintroduce your business or nonprofit to your target audience. Make sure it’s written in your words and that it reflects the personal experience you plan to provide your readers. Reaffirm they made the right decision – thank them for subscribing or tell them it was a pleasure meeting them. Assure them that you will protect their information. Make sure future emails get through. Ask to be white-listed and add your business to their trusted contact list. Personalizing your Welcome Email will not only improve the first impression you’re able to make on your readers, but it will also help set you apart from your competition. By avoiding static and un-engaging messaging, you’ll be providing an experience that will shape the way customers and supporters think of your brand. Don’t miss out on the value of First Impressions in your Welcome Email. Have questions, email or give us a call at 724-612-0755. About the author: Autumn Edmiston is the CEO and owner of the Edmiston Group. The Edmiston Group is a multifaceted Pittsburgh based marketing consulting firm providing senior level marketing management services to businesses and non-profit organizations on a short or long-term basis. Core areas of service are business development, marketing, strategic planning and public relations. The Edmiston Group has consistently delivered and implemented real-world, proven business marketing ideas and strategies for business. IS IT TIME TO FIRE A DIFFICULT CLIENT? Copyright © 2019 Edmiston Group. All Rights Reserved.